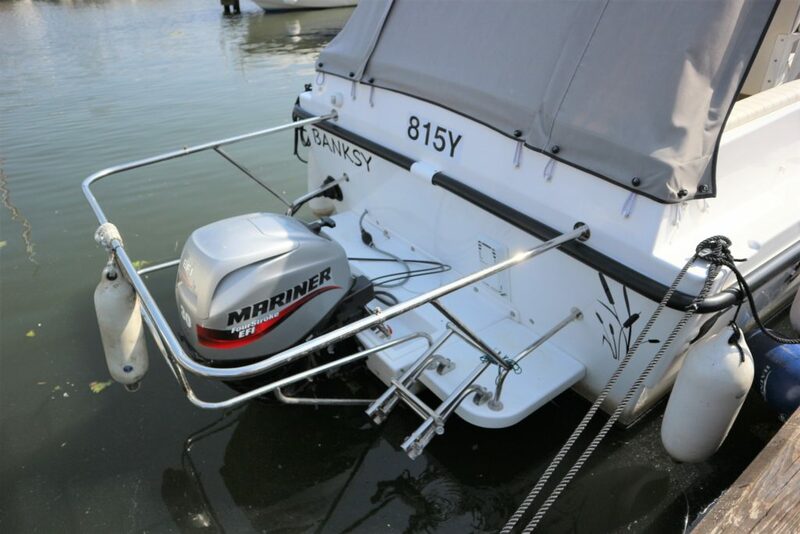 SHETLAND 4+2 – 2016 – 1 x Mariner Fourstroke 30Hp EFI petrol outboard engine. 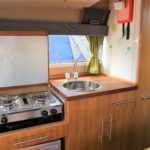 Up to 6 berth accommodation in cabin and cockpit, 1 x toilet to holding tank & shower. 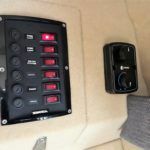 High spec including shore power, battery charger, propex heating, gas water heater, speed & depth log, full canopy & tonneau cover. 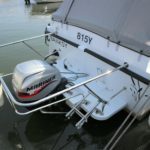 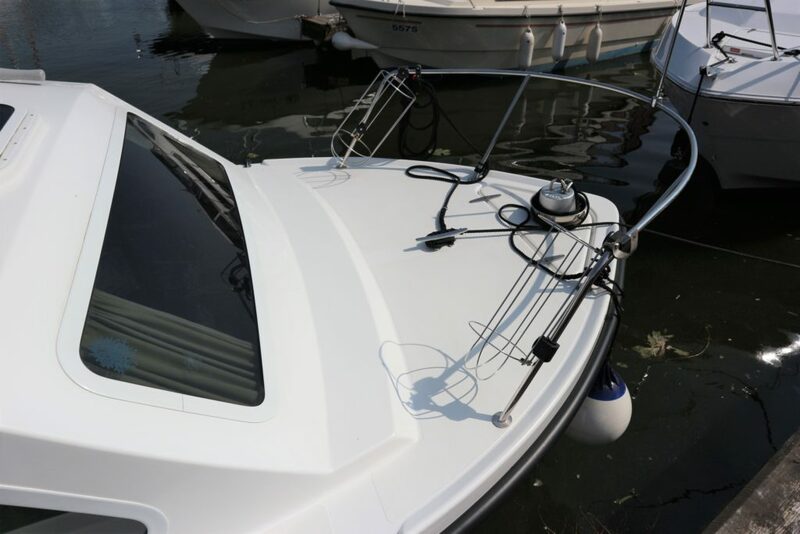 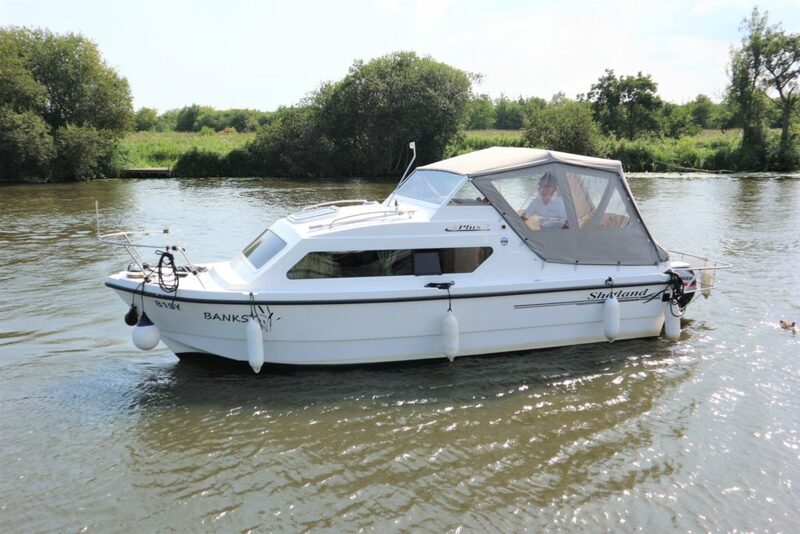 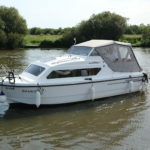 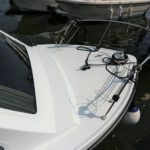 A very recent example, equipped for extended cruising with inboard fuel & holding tanks & presented in great condition. 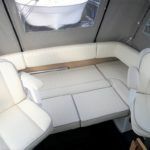 U shaped seating to the rear of the cockpit with cushioned cream grey piped vinyl pads. 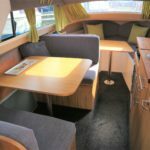 GRP table with steel leg fitting in to peddestal base mounted on cockpit floor. 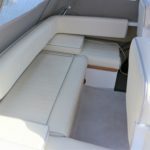 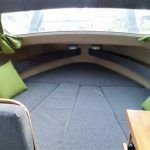 The seating area can make up with infills to a large sunpad or summer double berth. 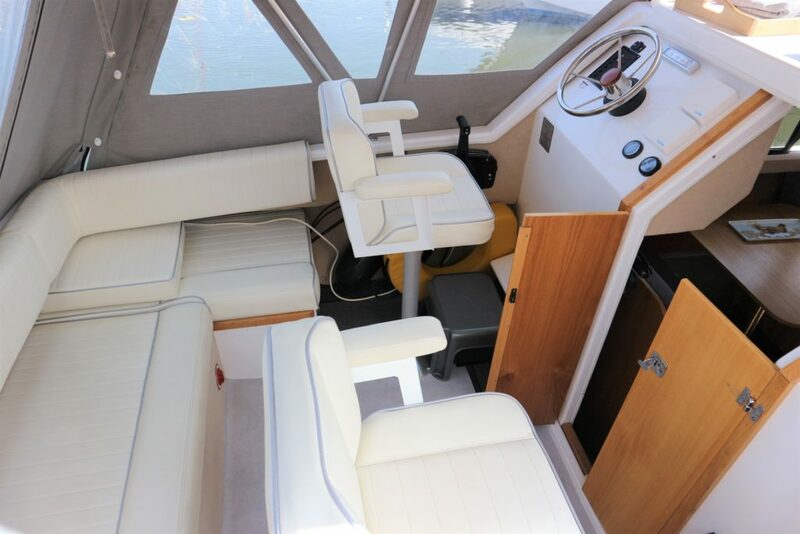 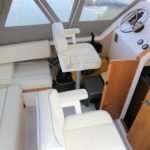 Helmsman seat and co pilot seats on revolving pedestals with arm rests. 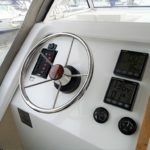 Gas locker located to starboard, forward of the co pilot seat. 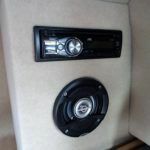 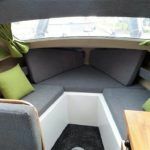 Ample storage under rear seating and central lazarette hatch. 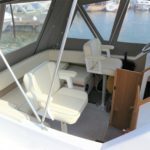 Folding wooden doors and hatch to cabin. 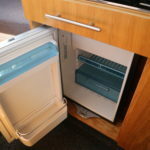 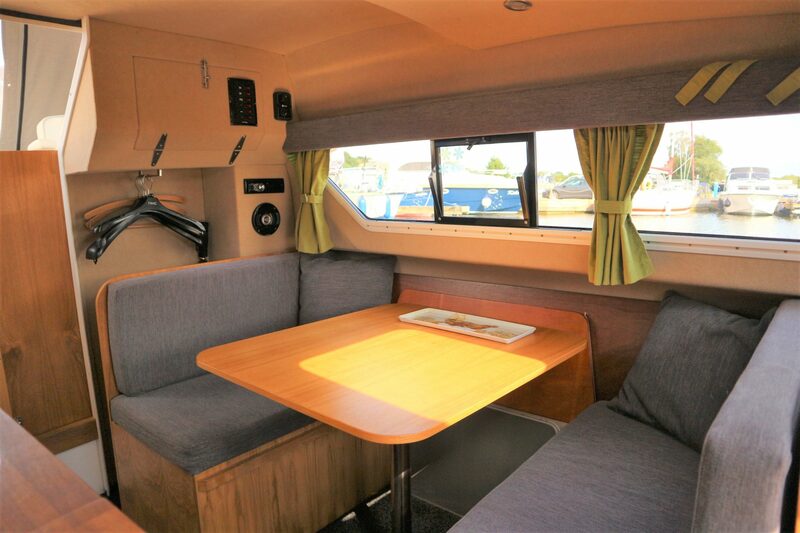 Storage area to port with hanging space, double dinette situated ahead with storage space beneath the seating. 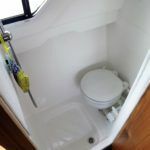 Galley toilet/shower compartment opposite to starboard. 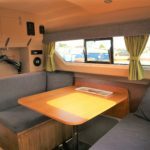 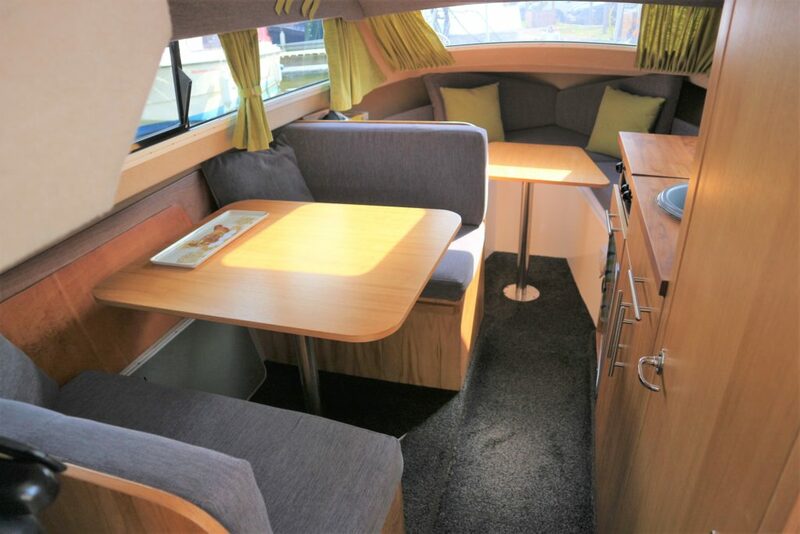 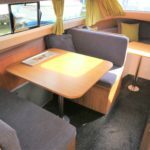 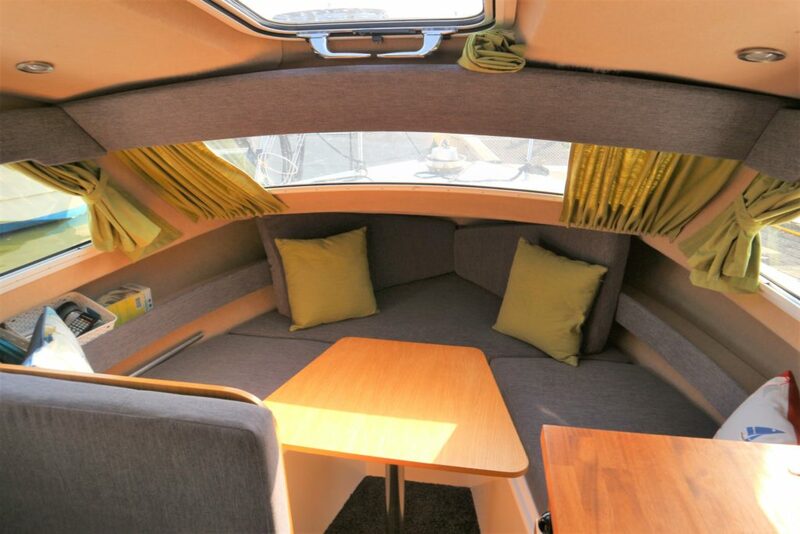 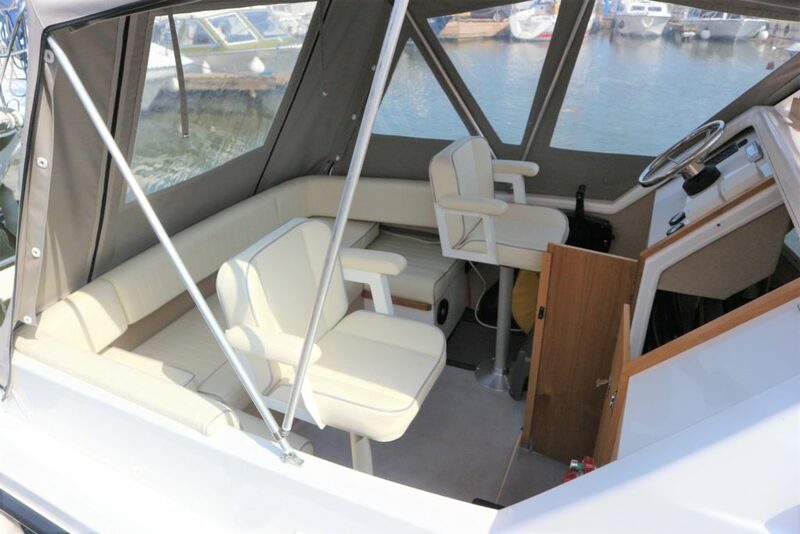 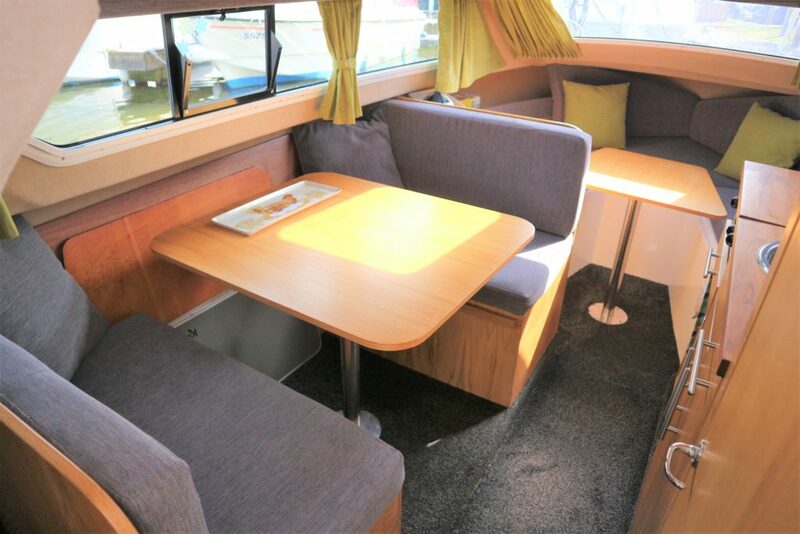 V berth dinette located forward with removable table which infills to make up a further double berth. 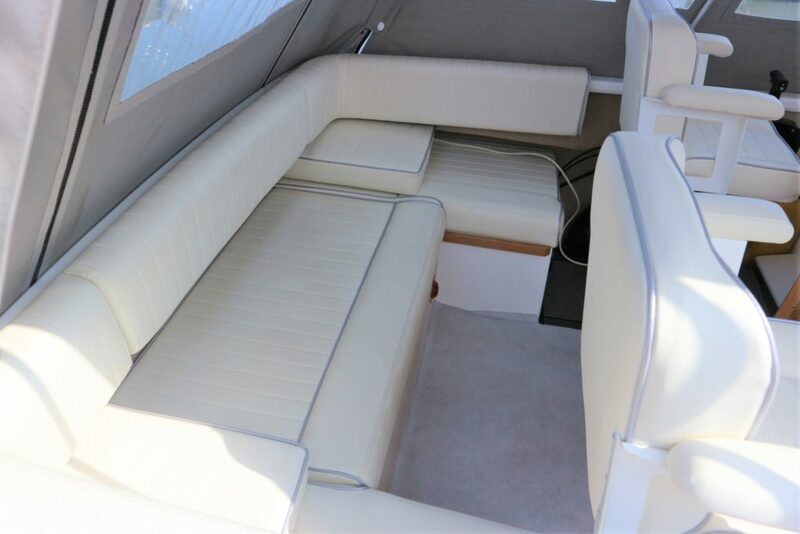 Storage beneath the berths hatch above to foredeck. 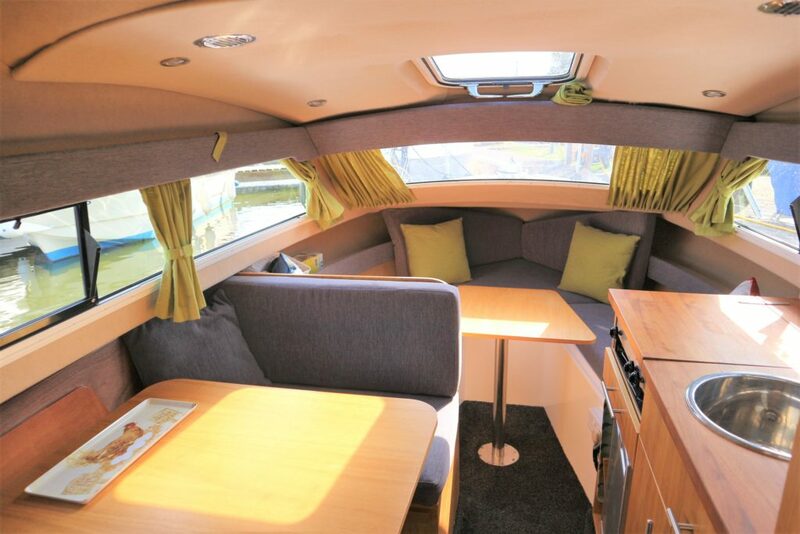 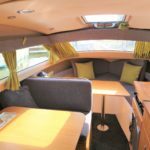 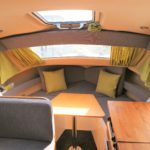 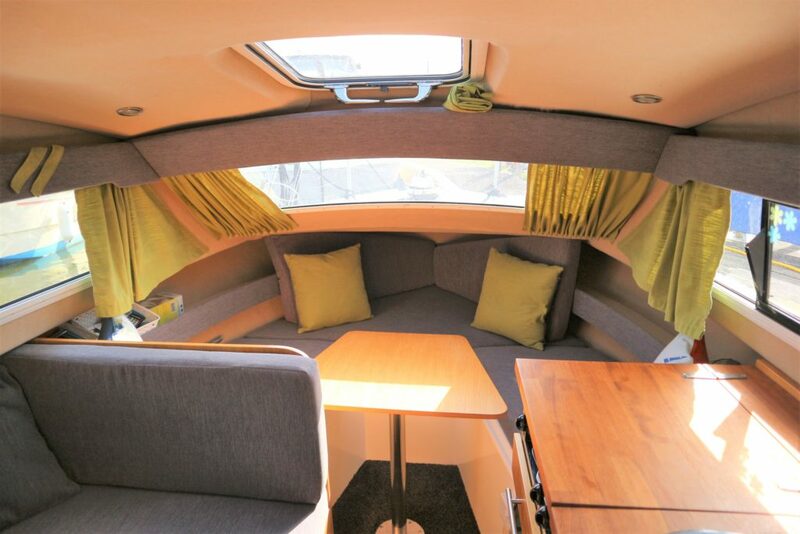 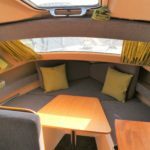 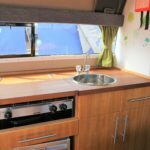 The cabin is attractively fitted with an oak laminate to the timber work, charcoal floor carpets, steel grey cloth upholstery and scatter cushions, Wasabi green curtains and scatter cushions, fawn head and side linings. 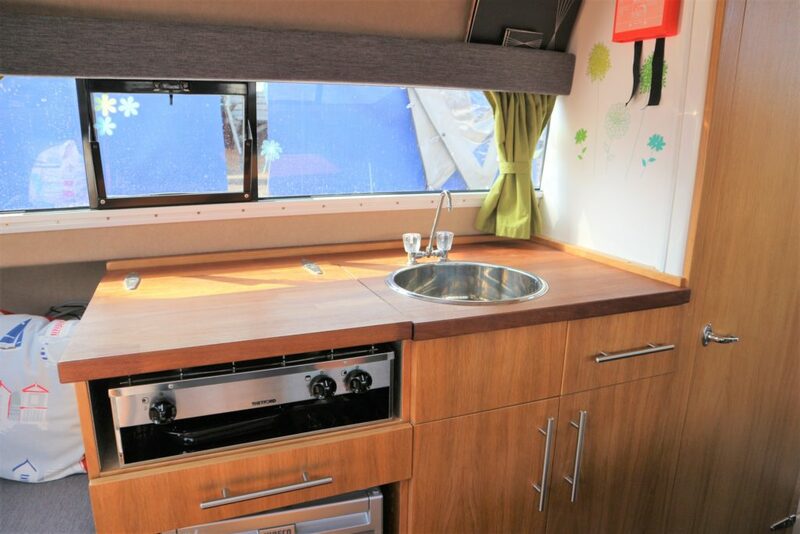 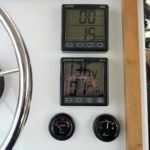 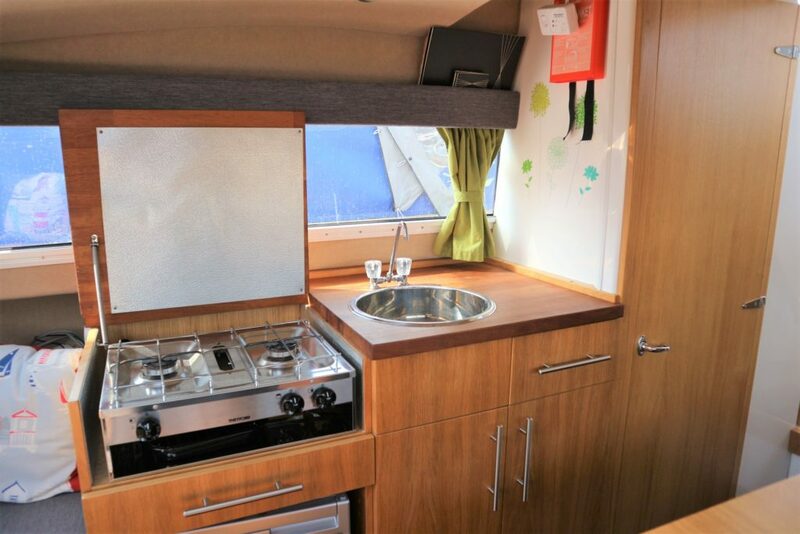 Located to the starboard side and fitted with a 2 burner gas hob and grill, solid woodblock work surface with inset stainless sink and taps, folding work surface over hob, waeco fridge with freezer box. 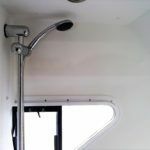 Hot water supply via the Malaga gas water heater. 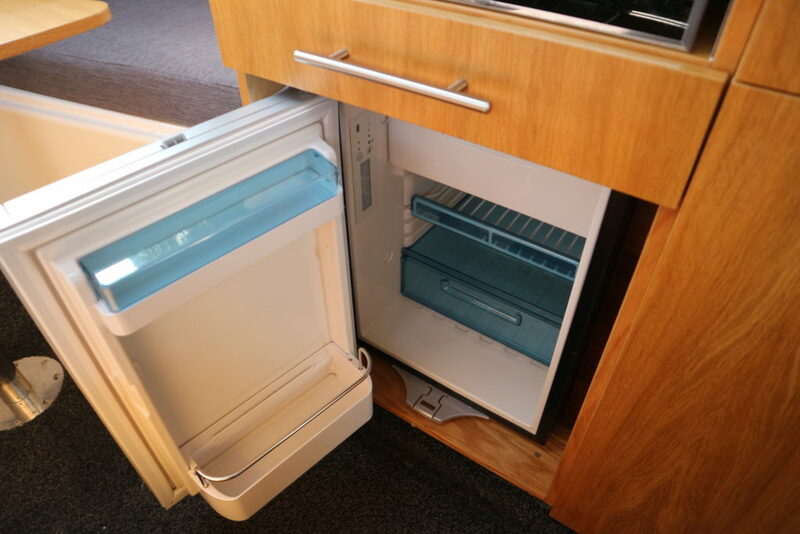 Cupboard and drawer storage. 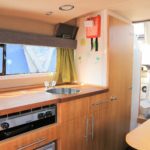 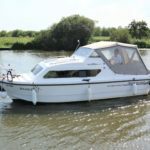 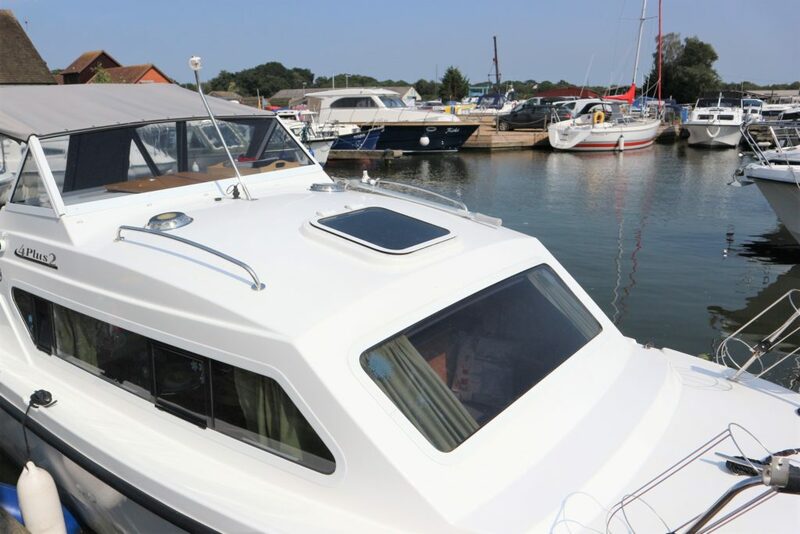 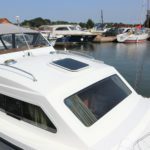 Located to the starboard side and fitted with a manual pump toilet to holding tank, Stainless shower head with riser rail and moulded shower tray. 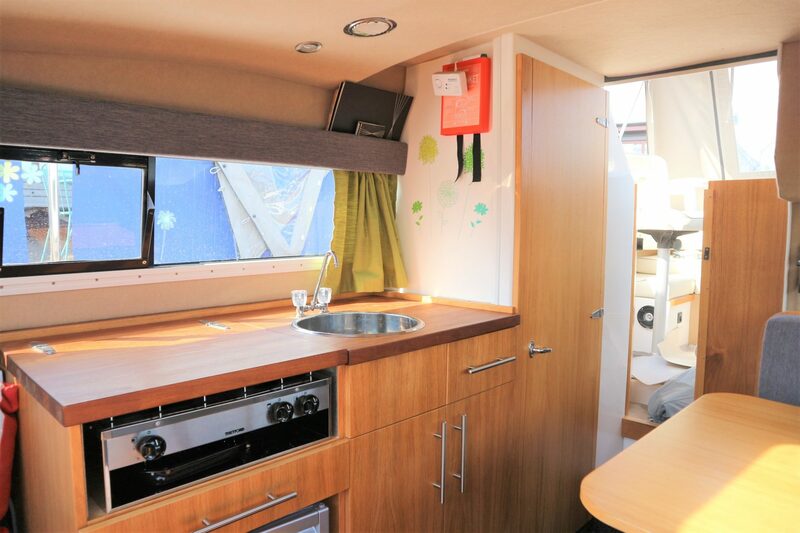 A rare opportunity to purchase such a high specification Shetland 4+2 (Launched Sept 2016). 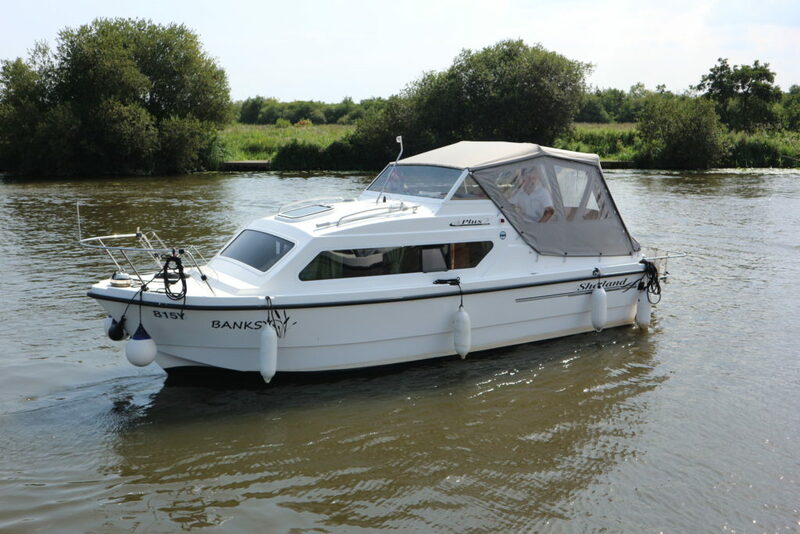 BANKSY is equipped for longer range cruising with inboard fuel and waste tanks offers enhanced comfort with her heating and hot water system.